SOUTH BRONX, July 21 -- After being presented with evidence of Wells Fargo's predatory lending for years, but nevertheless approving all of Wells Fargo's merger applications, the Federal Reserve this week belatedly imposed a $85 million fine for abuses by Wells Fargo Financial. The response by Bronx-based Fair Finance Watch, which provided the Fed with testimony for whistleblowing employees of Wells Fargo Financial, was too little, too late. At Wells, subprime lending has already been shifted into other of the bank's units. In 2010, the sixth year in which the Home Mortgage Disclosure Act data distinguishes which loans are higher cost, over a federally-defined rate spread of 1.5 percent over Treasury bill yields, the data show that the largest of Wells Fargo's many HMDA data reporters confined African Americans to higher-cost loans 2.56 times more frequently than whites. Predatory lending already triggered the global financial meltdown. The Fed, it seems, is merely saving face. But what can be learned for the future? Also this week, the Fed published notice of the proposal by another much-maligned lender, Capital One, to acquire the Internet bank ING Direct, stating that the public has only until August 18 to comment on the application. It is the middle of summer; the deal would create the nation's fifth largest bank. One can imagine the Fed trying to haul off and approve Capital One's application, and then some years later impose some sort of fine. That makes no sense, particularly after the Fed's implicit recognition that it miss the boat for years with Wells Fargo. So let it be different this time. Here is a complaint from inside Wells Fargo Financial that Inner City Press published in 2008. I've been with Wells Fargo Financial since [redacted to preserve confidentiality of whistleblower]. I am an assistant branch manager. I have two points of interest that I would like to let you in on to see what your opinion is about the situation. The process used to be that if you did not book 100k of new money lent over a 2 month period you were given a month to do at least 50k and over the next three months to book 150k total of new money to get off of the PIP. If you did not reach this, the company could recommend termination. It has only happened to two team members since I have been with the company. The new pip process is as follows, if you have one month without doing 50k of new money you can be recommended for termination. You have the following month to do 50k and if you do not you are out basically. Our business model is confused. We are supposed to be subprime lenders, we sell to customers with 620 or below FICO scores, that is our target market. Our lead base is mainly retail sales finance accounts (ex: tractor supplies financing, heating and cooling, carpet, furniture stores etc.) Most of these customers usually finance with 12 months same as cash periods or 24 months same as cash periods etc. Lately things are tight you basically have to have at least somewhat decent credit to get approved for this financing. Somewhat decent credit is above 620 fico score. Most of these retail sales accounts are 700 credit score customers and so forth. Our job is to call these customers and service those accounts and cross sell, credit cards, auto loan refinancing to pay off credit cards, and most importantly real estate restructuring. Taking the equity you have in your home to combo other bills to put them into one ultimate loan with a lower payment and hopefully an overall lower total payback (which is rare). Most of these customers could go to their bank and do the same thing at a much lower interest rate. Our company doesn't want us selling prime loans because we don't make money on these loans. If we book a loan and it ends up going prime we do not receive credit for it as a unit or a loan. We do get paid 175 bucks for each prime loan we book but if you do nothing but prime loans you will show no new money credit for these loans and zero units thus making it look like you didn't do anything. As a result you would be pipped and begin the process of termination. There is a way for us to keep a prime customer from going prime, if we can convince the credit grade A, no matter what the fico score it could be and 850, to take a loan over 91% of the total loan value (example 100k home value, 91k loan amount) it will not go prime. The tricky part is this, we as team members do not know what rate the customer will qualify for, we have a matrix, every customer falls into a certain pricing non-prime grade meaning a 720 credit score can come up and it will show up as a 10% rate but if you go below 91% ltv it will show that it can be recommended for prime pricing. Let me give you a recent example: I had a 736 fico customer coming in wanting to do a 124k total loan on a home he just had appraised about 6 months ago for 137k. The appraisal itself was done by a friend of the customers to purposefully bring it down because the loan he was trying to complete was the result of a divorce. I still took the chance and put in the total value as 137k. At a 124k total loan his total interest rate quoted was 9.38%. He had no choice, because of the way he was paid the bank would not cash flow him but we are very conservative as well but we were able to legitamitly cash flow him for the loan. (wells fargo doesn't mess around when it comes to cash flowing loans, we get heavy documentation) We got an appraisal done (wells fargo also doesn't mess around when it comes to appraisals, we have absolutely no contact with the appraisers, we have a separate company that we pay to have the contact) the appraisal came back for 185k. So obviously at this point, it would be tough for me to get this loan up to 91% ltv. For me it was simple, i want to do the right thing but at the same time i have to book loans, they put pressure on you to book it subprime, i tried like hell to sell 91% loan and nearly succeeded. The customer ended up only taking an extra 15k which still kept it below the 91% required to keep it from going prime. Still at this point i am not able to disclose to the customer that all he had to simply do was take any loan under 91% and he would simply sign the final pricing disclosure showing a 9.38% rate but after a final review it will come back and give him a 5.5% -7% loan. I still had to sell with the customer having the intentions he would be getting a 9.38% rate. We sent up the final pricing disclosure it was recognized as prime and the customer ended up with a 5.5% fixed rate for 30 years to his surprise and glee. That turned out great, of course it looks like I never booked a loan. Second scenario would have been if the customer had agreed to take an extra 60k out putting him over the 91% ltv mark and thus keeping the loan at 9.38% for a 720 fico customer. We can never inform them of this until after they agree to a higher rate like that is what they are getting and they get a prime loan. If i would have booked this loan subprime in that particular month i would have received over 1k in total bonus money. Instead, I didn't hit the mark required for bonus money and only received the 175k for booking a prime loan. This is of course a CYA scenario for Wells Fargo but believe me, it is not a good thing to book a prime loan, i had my district manager yelling at me for not being able to sell the extra 60k because once it is prime it doesn't count for the branches records, or the districts record or the regions record. No one gets credit. That is my fundamental reason for wanting to leave Wells Fargo Financial. I know we are in business to make money, but not at the expense of humanity. And more than three years later, the Fed belated imposed a fine. Too little, too late -- but a lesson for the future, starting with Capital One's application to acquire ING Direct. NEW YORK, June 20, updated -- Six months after Bank of Montreal announced a proposal to acquire Milwaukee based M&I, the Federal Reserve on Monday evening called Inner City Press / Fair Finance Watch to say that the Fed had just approved the merger. Fair Finance Watch, along with groups in the Midwest and NCRC, challenged the merger earlier in the year, and the Fed asked the two banks questions. 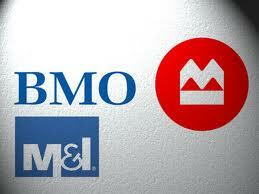 But Bank on Montreal withheld the major of its responses on fair lending and Community Reinvestment Act compliance. Click here to view. Inner City Press made a Freedom of Information Act filing, but inexplicably the Fed has not even ruled on the withholdings before approving Bank of Montreal's applications. Inner City Press noted to the Fed that the official whom Bank of Montreal has assigned to merger integration, Cecily Mistarz, was previously in charge of strategy for “Harris Private Bank," described by market news source SNL Financial as "a unit that provides wealth management services to affluent individuals and families” -- giving rise to concerns that if run by Bank of Montreal, the resulting bank would turn away from low and moderate income communities. Last week a number of Wall Street stock analysts called Inner City Press to inquire into the status of the challenges, and into a public hearing by a Wisconsin legislator scheduled for June 21 in Milwaukee. One of these analysts pointed out that Bank of Montreal says it will close by the end of July -- contrasted to Comerica, which said it would consummate its still unapproved and FFW challenged acquisition of Sterling Bancshares by the end of June, now impossible. Even these analysts expected the Federal Reserve, which declined to hold a public hearing on Bank of Montreal's applications, to not approve Bank of Montreal's application until after reviewing testimony at this June 21 hearing. But the Fed has thumbed its nose at the public, at the Freedom of Information and Community Reinvestment Acts, just as it allowed large banks to cause the worldwide financial crisis. This is why the Federal Reserve is losing some of its oversight powers to the Consumer Financial Protection Bureau. Upcoming merger applications include Capital One's proposal to acquire ING Direct -- internally dubbed “Project Rose” by Capital One -- and PNC's just announced proposal to acquire the US branches of Royal Bank of Canada. Capital One has gone so far as to ignore the range of FHA lending accepted by other comparable lenders, and is also eying HSBC's credit card operations in the US. Watch this site.